Oh, not really, but it looks like that’s what they are doing, doesn’t it? Actually, these folks were all volunteers for the Great North Little Rock Cleanup, and spent their Saturday morning cleaning up other people’s litter. 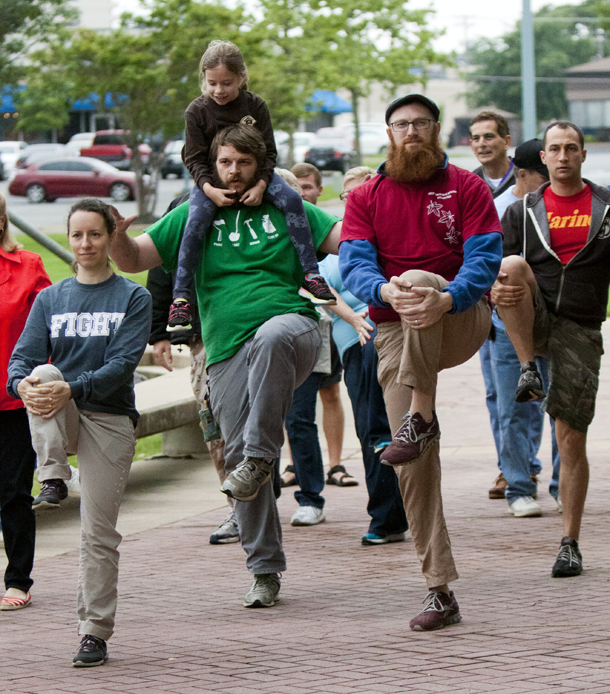 At the celebration lunch afterward, a CrossFit trainer led the volunteers in some stretches and simple routines to warm everybody up — it has been unusually cold for May in Arkansas!